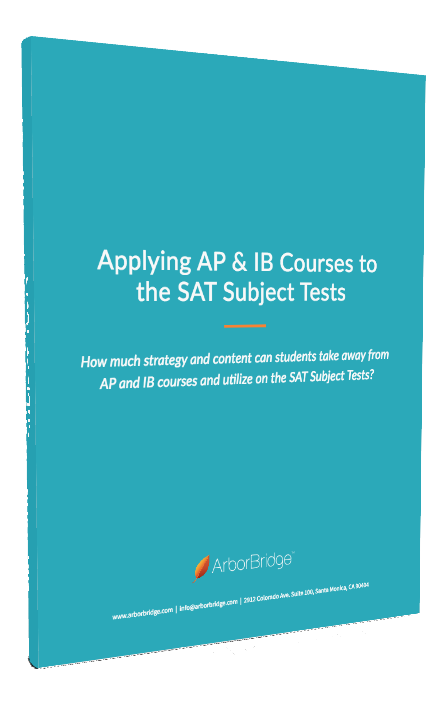 Did you know you've already built up an arsenal of strategy and content to tackle the SAT Subject Tests from AP or IB courses in school? Exactly how much of the content and strategy can you take away from your current AP or IB class and apply to the corresponding Subject Test? Quick Guides for each of the Subject Tests: Get to know format, scoring content, and helpful tips for studying—straight from ArborBridge test prep experts!